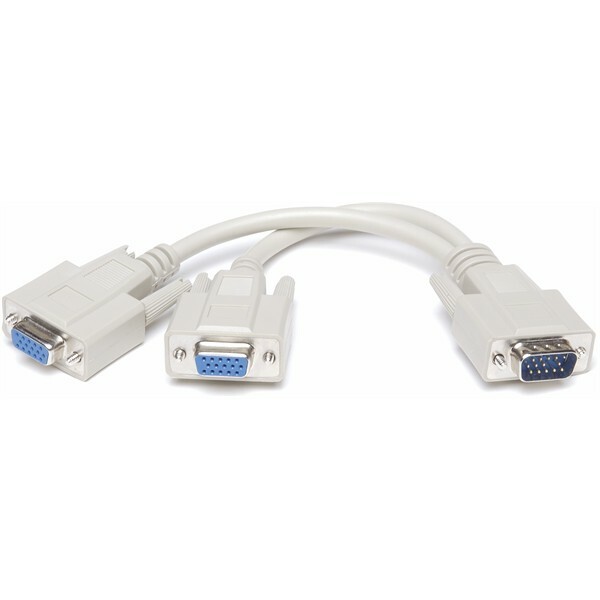 VGA male to male cable (HD15) 6 Ft.
VGA male to male cable (HD15) 10 Ft.
VGA male to female extension cable (HD15) 6 Ft.
VGA male to female extension cable (HD15) 10 Ft.
Super VGA coaxial cable w/2 ferrites male to male 6 Ft.
Super VGA coaxial cable w/2 ferrites male to male 6 Ft. Black color. 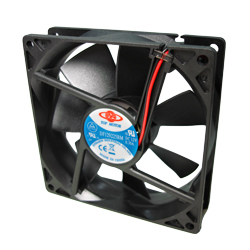 VGA monitor replacing cable. Super VGA coaxial cable w/ 2 ferrities male to male 10 Ft. Black color. 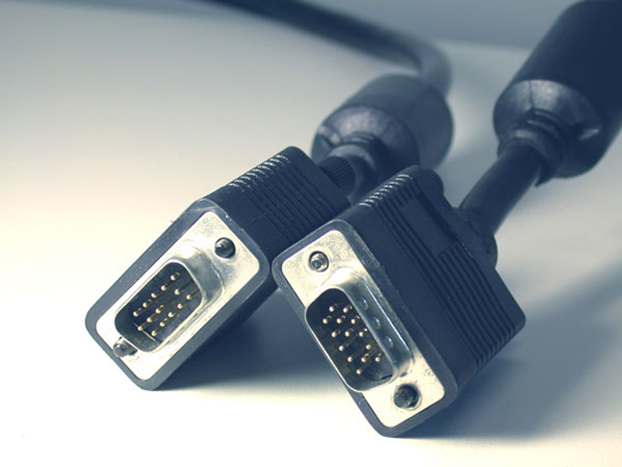 VGA monitor replacing cable. Super VGA coaxial cable w/2 ferrites male to male 15 Ft.
Super VGA coaxial cable w/2 ferrites male to male 15 Ft. Black color. 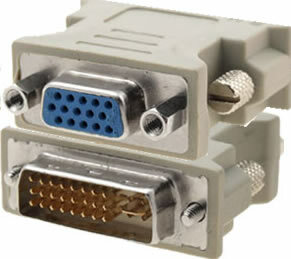 VGA monitor replacing cable. Super VGA coaxial cable w/2 ferrites male to male 25 Ft. Black color. VGA monitor replacing cable. Super VGA coaxial cable w/2 ferrites male to male 35 Ft.
Super VGA coaxial cable w/2 ferrites male to male 35 Ft. Black color. VGA monitor replacing cable. Super VGA coaxial cable w/2 ferrites male to male 50 Ft.
Super VGA coaxial cable w/2 ferrites male to male 50 Ft. Black color. 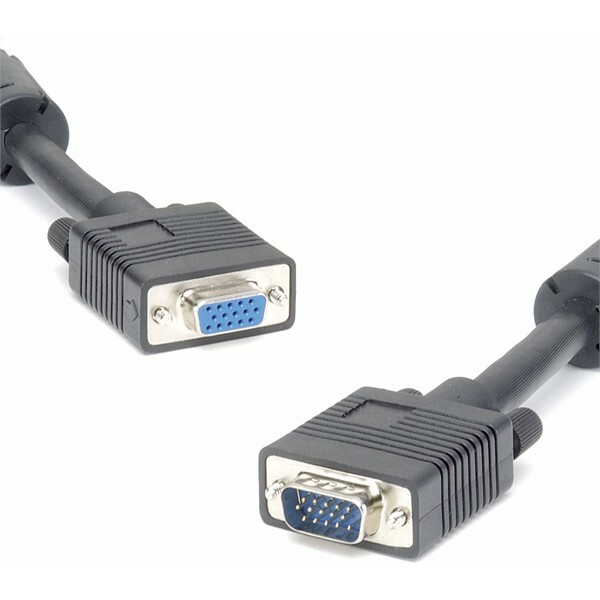 VGA monitor replacing cable. Super VGA coaxial cable w/2 ferrites male to male 75 Ft.
Super VGA coaxial cable w/2 ferrites male to male 75 Ft. Black color. VGA monitor replacing cable. Super VGA coaxial cable w/2 ferrites male to male 100 Ft.
Super VGA coaxial cable w/2 ferrites male to male 100 Ft. Black color. VGA monitor replacing cable. VGA coaxial extension cable w/2 ferrites male female 6 FT.
VGA coaxial extension cable w/2 ferrites male female 6 FT. Black color for extending existing monitor cable. VGA coaxial extension cable w/2 ferrites male female 10 FT.
VGA coaxial extension cable w/2 ferrites male female 10 FT. Black color for extending existing monitor cable. 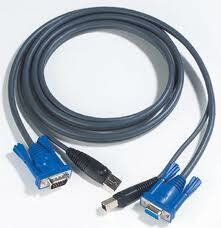 VGA coaxial extension cable w/2 ferrites male female 15 FT. Black color for extending existing monitor cable. 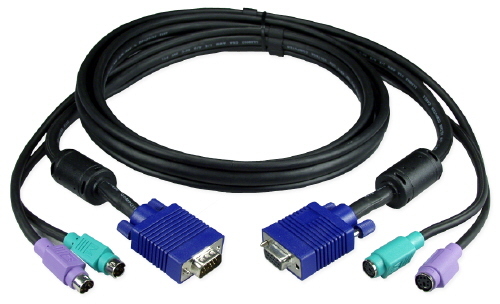 VGA coaxial extension cable w/2 ferrites male female 25 FT.
VGA coaxial extension cable w/2 ferrites male female 50 FT.
VGA coaxial extension cable w/2 ferrites male female 75 FT.
VGA coaxial extension cable w/2 ferrites male female 100 FT.
VGA coaxial extension cable w/2 ferrites male female 100 FT. Black color for extending existing monitor cable. 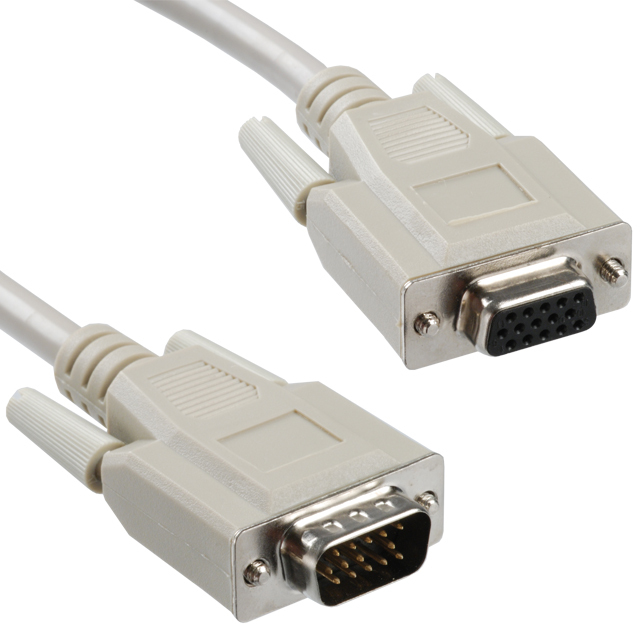 VGA slitter cable, VGA "Y" cable, HD15 male to 2X female.